We’re only 22 weeks away until our Dec. 15 grand opening and we couldn’t be more excited! Over the next few months, we’ll be sharing tidbits of information with you about the new amenities, activities, restaurants and shopping that will soon be available for all to enjoy! So please keep coming back to our news feed to learn more! This week, the countdown is celebrating all the construction progress coming up in the next month. It’s a big month ahead for us with some exciting advances happening in order for us to celebrate the grand opening this winter. 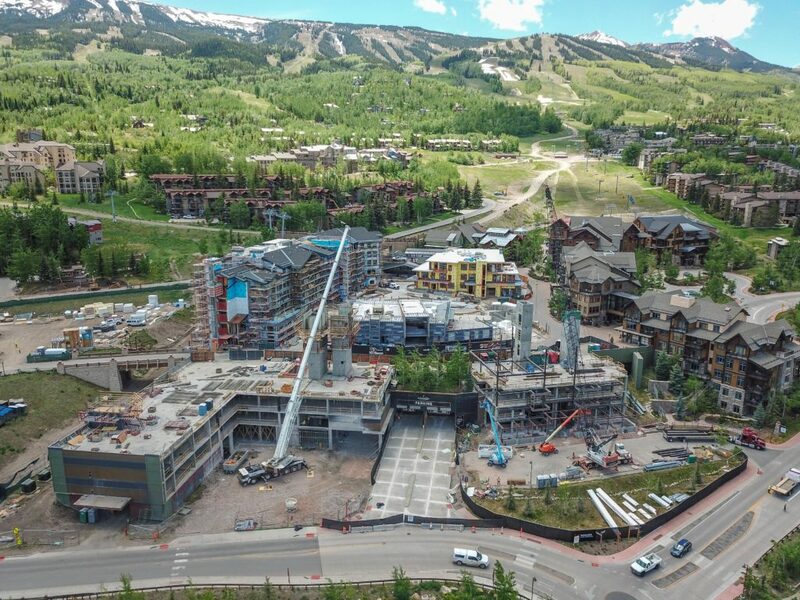 • Limelight Hotel and Residences – over the next month the construction team will begin finalizing the hotel rooms as we get them ready for our winter opening. Yep…it’s the notorious “punch list,” which signals great progress! • Lumin Residences – we’ll be working hard to complete drywall in all three penthouses and begin on the finish details. The building’s exterior siding also is being installed – its warm wood finish will give the building a mountain contemporary design aesthetic! • Public Ice Rink – Hard to believe in just five-months families will be skating on the new Base Village ice rink. The outline of the rink is in so you can see it’s amoeba shape and actual construction will begin this month. The excitement is indeed building! Call us at 970.924.9100 or email us at info@allinsnowmass.com for a private tour and more information. We love showing people what’s happening…it’s the best part of our day!